When Arsène Wenger leaves his position as Arsenal manager at the end of the 2017/18 season it will mark the end of an era. While a large section of Arsenal fans have been calling for his departure for nigh on the past decade, all of a sudden Arsenal fans have turned heavily sentimental about their outgoing manager. But why is his departure so noteworthy in a league where the turnover in managers seems to be so frequent? To understand what Arsène Wenger means to Arsenal Football Club it is crucial to look at what Arsenal was before the Arsène aeon. When Wenger was appointed in 1996, he couldn’t have been more alien to the Highbury faithful. 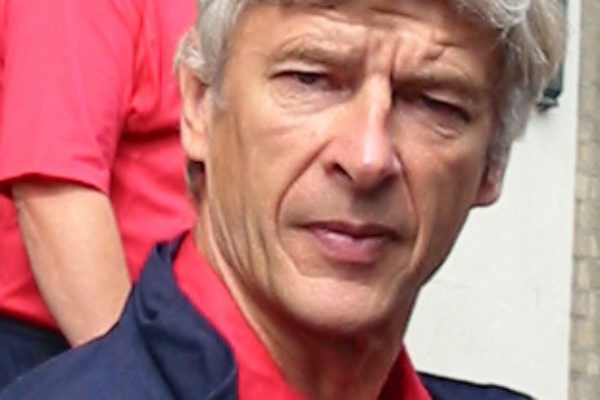 Wenger was poached from Japanese side Nagoya Grampus 8 and, as well as being French, Wenger was one of only two foreign managers in the 1996 season, the other being Ruud Gullit, and this alone caused boycotts. It was his football ideology that made Wenger so different to his competition in the rest of the Premier League. Firstly, Wenger completely changed the way that Arsenal players lived their lives outside football, and eventually the rest of the Premier League followed suit as well. The Arsenal team that Wenger inherited were infamous for excessive drinking, with Tony Adams going to prison briefly in the 1990-91 season for drink driving, the same year Arsenal won the league under George Graham, and then there was the Tuesday club. Before Wenger’s arrival at Arsenal there was a ritual every Tuesday where most of the Arsenal players would go for drinks at a local pub after training and then inevitably stay until the early hours of Wednesday. Lee Dixon remembers that Martin Keown was excluded in his early days at Arsenal for refusing to join the rest of the squad in these habits. Wenger put an end to this and banned all manner of unhealthy foods, replacing them with steamed vegetables and fish typically. As well as this, Wenger also brought a new style of football to the traditionally dull Arsenal side. In the 1995-96 season, Bruce Rioch’s last as Arsenal manager, Arsenal scored 49 goals and placed fifth in the Premier league whereas the next year, under Wenger, Arsenal scored 62 and came third, and in the 2002-03 season Arsenal scored 85. Around this time Wenger enjoyed his best years as the Arsenal manager: in 2002 Arsenal won the league and the FA Cup, in 2003 Arsenal won the FA cup once more but, again, came second in the league, and in the 2003-04 season Arsenal were called ‘The Invincibles’. Wenger had foreshadowed this the season before, when he told reporters that it wouldn’t surprise him if Arsenal didn’t lose a game that season. When Arsenal didn’t go unbeaten that year, Wenger was mocked in the media but in fact, his forecast that had looked so outrageous (the only other team that were known as ‘The Invincibles’ in English football was a 19th century Preston team) turned into a reality, if a season later than he originally thought. This legendary year is widely seen as one of the best seasons by any team in football history, and solidified Wenger’s status as an Arsenal legend. That Arsenal team was spearheaded by Thierry Henry who won Player of the Season and the Golden Boot, scoring 30 goals and, although there were a few spectacular individuals such as Henry, Bergkamp and Vieira, overall the team worked in harmony and this resulted in Arsenal keeping the most clean sheets, while also scoring the most goals in the Premier League that year. The clean sheets record is yet another testament to Wenger’s football brain as three of the four starting defenders for ‘The Invincibles’ weren’t originally defenders. Wenger turned Ashley Cole and Lauren from average wingers to world-class full-backs and Kolo Touré from a clumsy right-back to a reliable centre-back partner for Sol Campbell. In fact Touré’s first game playing in the heart of the defence was in the pre-season of the ‘Invincible’ campaign. It was shortly after these successful years where it all went wrong for Wenger and, after the 2004-05 season, Arsenal didn’t win a trophy until 2014, when Arsenal won the F.A. Cup. During this barren run, Arsenal fans got increasingly angrier at Wenger’s lack of desire to adapt his methods. Whether correctly or not, Arsenal fans have long expressed their bemusement with the way that Arsenal like to play free-flowing attacking football no matter the opponent and often sacrifice defensive sturdiness for easy on the eye passing play. Equally, Wenger was reluctant to join the rest of football in spending astronomical amounts of money on players, although it has been pointed out that the move from Highbury to the Emirates could also be why Arsenal sought bargains instead of big money buys until 2013. To put this into perspective, in the summer of 2013 before Arsenal signed Mesut Özil for around £40m, Arsenal’s transfer record was Jose Antonio Reyes for £17.4m in early 2004. Over the course of nearly a decade, however, the rest of the Premier League’s spending habits went through the roof. In 2004 the whole of the Premier League spent £265m on players, whereas the total spending of the Premier League in 2014 was £965m. Now the question for Arsenal is who goes next? As has been widely documented, the decision is an extremely important one for the Arsenal board, as Arsenal don’t want to make the same mistakes that Manchester United did when Sir Alex Ferguson eventually left the Red Devils at the end of the 2012-13 season. My ideal Arsenal manager (short term) would be former Barcelona boss Luis Enrique, although long term I believe that Hoffenheim’s young promising manager Julian Nagelsmann or Bournemouth’s Eddie Howe would fit the Arsenal job very well. Vieira and Henry, who are plying their trade as manager of New York City FC and assistant manager to Roberto Martinez in the Belgium national team respectively, are also in contention for the job, but Arsenal fans for the most part want change and are hesitant for any of ‘The Invincibles’ to ruin their legacy. Whatever fans think about Wenger’s recent Arsenal sides, it is undeniable that he has shaped the modern game, and the admiration that even his rivals like Sir Alex Ferguson and José Mourinho have for him shows clearly that he will be remembered as an all-time great.